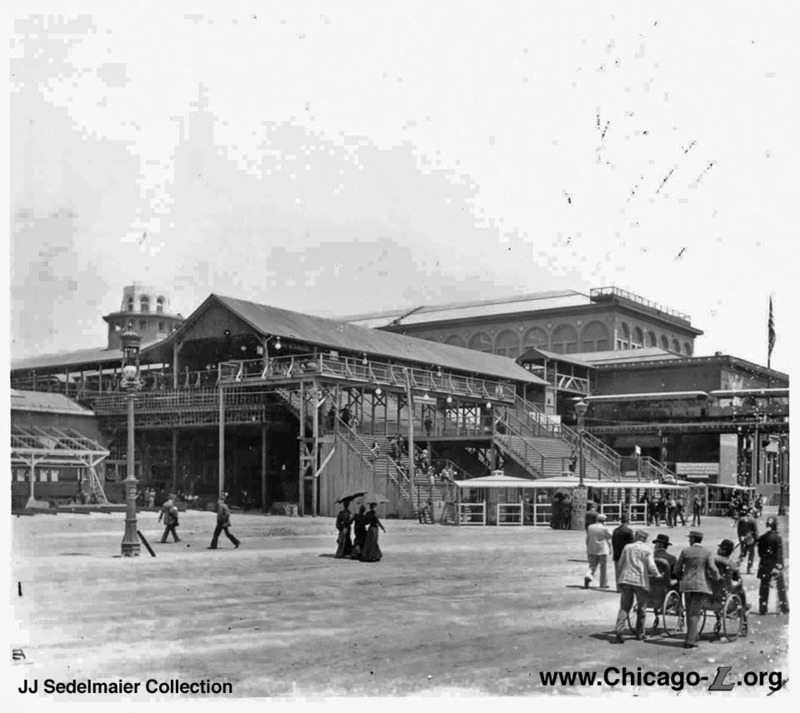 During late 1892 and early 1893, the South Side Rapid Transit busily extended their line from its original terminal at 39th Street to Jackson Park for the World's Columbian Exposition. Extensions were opened as completed, with service gradually extended south as permitted. By April 23, 1893, Madison Avenue (later called Dorchester) opened, but service to Jackson Park (and the fair) didn't start until May 12, two weeks after the fair had opened. In the interim, passengers disembarked at Madison and walked on a special walkway constructed on the "L" structure to the fair grounds. The Jackson Park station was built above an annex to the Transportation Building at the World's Fair, held in Jackson Park, located at the present intersection of Hayes and Cornell drives. 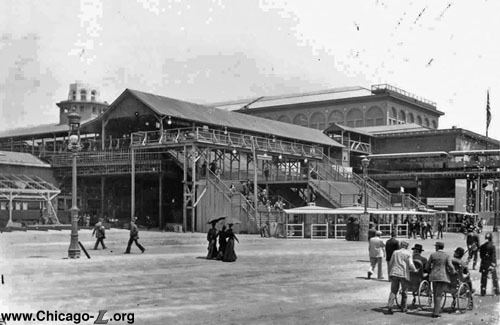 Here, passengers could either walk out of the station to the fair, enter the famous Transportation Building, or transfer to the fair's own elevated, electric Intramural Railway. During late night and early morning hours, the fair grounds were closed and trains terminated at the Stony Island station a mere several hundred feet west. With the station open less than one year, there are understandably few photographs of the facility. The station was located only a few hundred feet east of the Stony Island station. The tracks proceeded east from Stony, then turned southeast for a few hundred feet. A diamond crossover just west of the station allowed access to both tracks. The station consisted of two stub-end tracks with three end-loaded platforms: one island, two side. The platforms were arranged to separate traffic, with the island platform being for boarding trains and the side platforms being for exiting passengers. The platforms merged at the south ends of the tracks into an elevated concourse, but the circulation to and from each platform was kept separated by a system of barriers. Opposite the tracks was a wide staircase that lead down to the ground, with barriers separating the stairway into three sections (which lined up with the three platforms) -- the middle section of the stairway was for entering passengers, and lead to a row of ticket boxes on the mezzanine concourse to pay the fare, while the outer sections lead passengers out to the fair. A side passage projected east from the concourse, leading to a connection with the adjacent Intermural Railway station. A bridge over the wide central stairs, in front of the mezzanine, permitted passengers from the west discharge platform to get across the entrance stairs to the transfer passage on the east side of the concourse to make the transfer. At the bottoms of the exit stairs, and on the bridge to the Intermural Railway, were ticket booths for the fair; on the transfer bridge, beyond the fair passimeters and another stairway to the ground, were a set of ticket booths for the Intermural Railway. A second bridge provided transfer from the Intermural Railway station, from the north end of that service's platform, across the "L"'s east discharge platform and east track, down to the "L"'s island boarding platform. Ticket booths for the "L" were located on this bridge as well to collect fares. Architecturally, the station was very utilitarian in contrast to most of the other, more lavish fair buildings. The station concourse was an open circulation and fare control area covered by a simple gable roof. 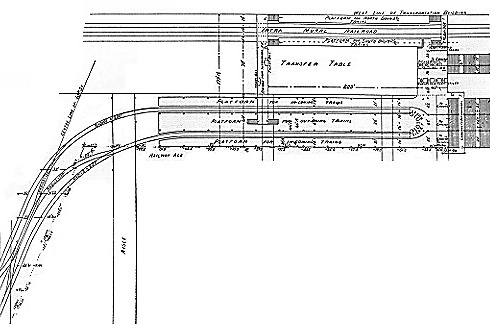 The Jackson Park terminal has the distinction of being both the shortest-lived "L" station and the "L" first station closure. While the Jackson Park station was ideally suited to fair traffic, it was poorly located for post-Exposition use. Concurrent with the end of the fair, the Jackson Park terminal was closed on October 31, 1893, making Stony Island (then renamed Jackson Park) the end of the line. The structure was demolished soon thereafter. * = Exact coordinates are difficult to determine. 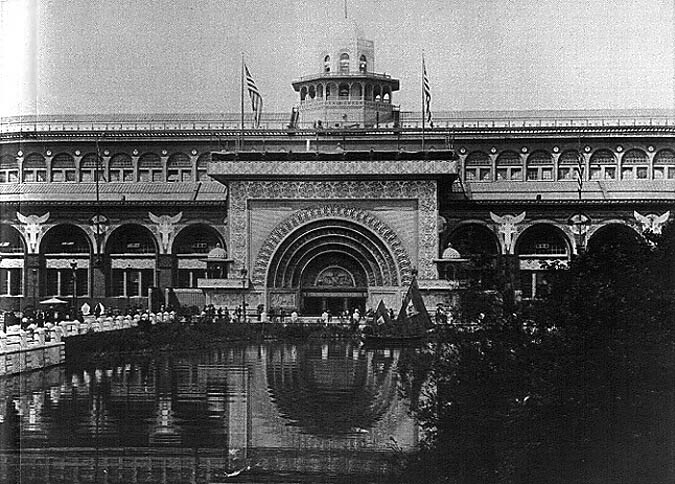 The Columbian Exposition fairgrounds were not platted to the city's grid system and the terminal's location within the current Jackson Park grounds can only be approximately determined. ** = Address is not available, as station was within the Columbian Exposition fairgrounds, which were not platted to the city's grid system, nor did each building have its own individual street address.